No matter how old you are, the word “extraction” can come off a little scary. At Kids Dental Group, you don’t have to worry! Your little one is in good hands. We want to prepare you and your child for treatment so you both feel at ease. **What is a tooth extraction? A tooth extraction is the process of removing a tooth (or teeth). This is often done because the tooth is causing pain, it is infected or it has a cavity. Sometimes this can also affect the permanent tooth below. **How does an extraction work? There are two types of extractions, a simple extraction and a surgical extraction. With a simple extraction, a local anesthetic is sometimes used to numb the area and the procedure can be done quickly. Your child may feel a slight pressure, but no pain. A surgical extraction is more complex. It usually requires sedation or anesthesia. Our priority is that your child feels safe and comfortable during their treatment. Along with oral sedation options, we will take the time to discuss the procedure with you and your little one. We also have toys, books and televisions to help keep your child calm and relaxed. It is best to explain to your child before-hand. You can also let them know to be excited for a treat at our treasure tower at the end of their treatment! 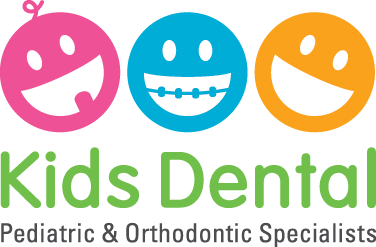 For questions about your child’s oral health care, contact us at Kids Dental Group! We are conveniently located in Richmond Hill, Markham and Stouffville and look forward to working with your little ones!